One bedroom / 2 Amiryan Str. Apartment for rent, it has 1 living room, 1 bedroom and 2 bathroom situated in the center of Yerevan, on Amiryan str., near Armenia Marriott hotel. 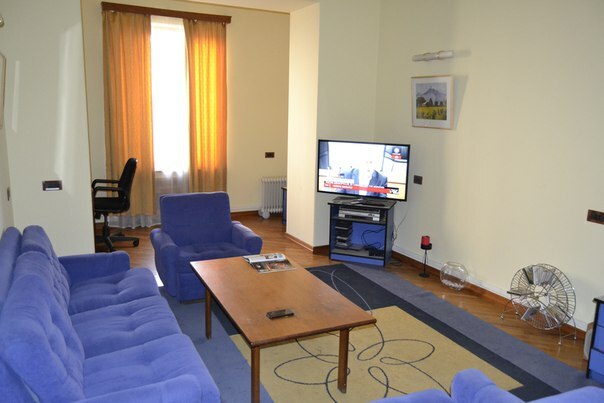 It is on the 2-nd floor of a 5 storey building, repaired, furnished. It has gas, constant hot and cold water, cable TV, computer, automatic washing machine, 2 air-condition system, heating system, internet (WiFi), home phone. Daily price - 65€ (min 4 days).